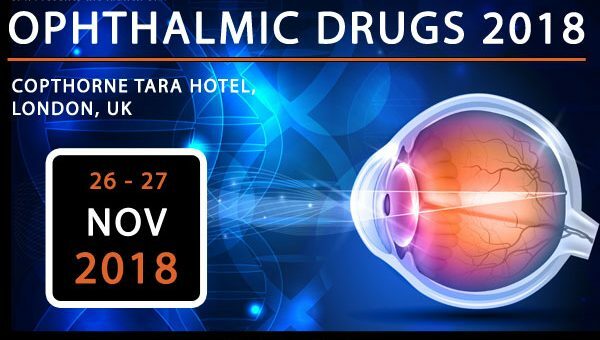 SMi Group are delighted to welcome the expertise from a senior panel of big pharma and ophthalmic organisations, as well as regulatory bodies, at the 2nd annual Ophthalmic Drugs 2018 conference, taking place in November in the City of London, UK. The event will address the impact of the overwhelming digitalisation such as artificial intelligence in drug discovery and how companies, from biotech’s to pharma, need to adapt. It will also explore the future of ocular gene editing and a regulatory perspective of the industry. Hear from opinion leaders such as Roche, Santen, Aerie Pharmaceuticals, MHRA, Nightstar Therapeutics and more.